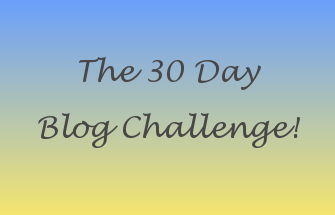 Hello and welcome to Day 24 of the 30 Day Blog Challenge and the topic today is my three worst traits. 1. Not removing my make up properly at night. For the sake of my skin I know I need to sort this out and also for the sake of my poor pillows which end up with mascara on them!!! I seem to have a natural ability to lose things much to my husbands annoyance! I am an untidy person I have clothes all over the place, paperwork and just general clutter so its no wonder that I lose things!! Don't forget to check out the other ladies to see what their three worst traits are!